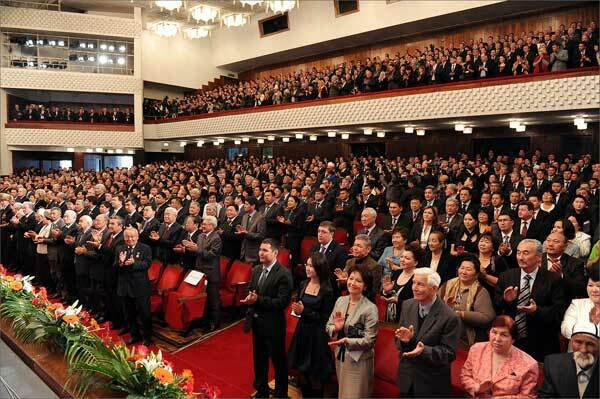 In 2011, for the first time in the history of independent Kyrgyzstan, presidency has been peacefully transferred from one president to another with inauguration of Almazbek Atambaev in Bishkek on the 1st of December. The two of his predecessors, Askar Akaev and Kurmanbek Bakiev were overthrown as a result of two revolutions in 2005 and 2010. Only Roza Otunbayeva (who was appointed as the transitional president in 2010) has been able to give up the power in a peaceful and voluntary way. Under the new Constitution, the new president has been elected for a single term of 6 years with no chance of re-election. 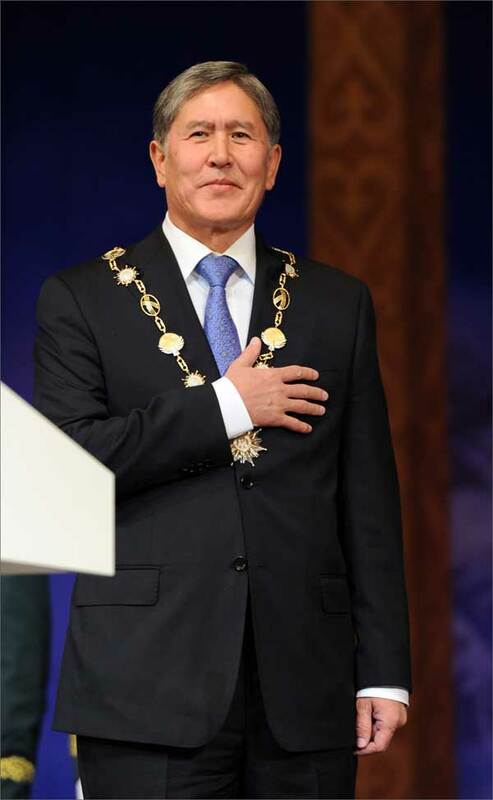 The inauguration ceremony has been attended by the presidents Abdullah Gul (Turkey) and Mikheil Saakashvili (Georgia), along with prime-ministers of Kazakhstan, Tajikistan, and Azerbaijan. China, Uzbekistan, Turkmenistan and Belarus have also sent their high level delegations, led by speakers and vice-speakers of the national parliaments. Other guests of honor included representatives of CSTO, SCO, OSCE, EuraSEC, CIS executive committee, Council for cooperation of Turkic speaking countries, EC, etc. 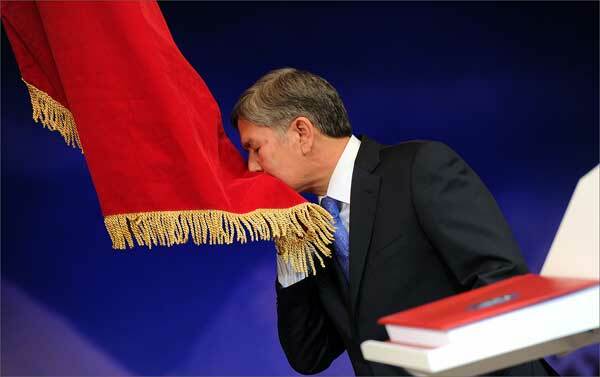 The ceremony budget has not exceeded 10 million som (or $217.000), less than half of what was spent for inauguration ceremony of Kurmanbek Bakiev in 2009. 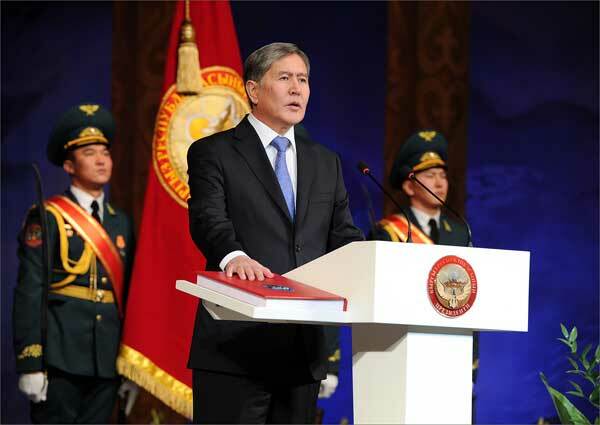 In his inaugural speech, Almazbek Atambaev has referred to Russia as the Kyrgyzstan’s strategic partner and thanked other states and international organizations for their assistance delivered in the time of hardship for the country. His goal is to make Kyrgyzstan a regional transit hub, after construction of a railroad to China and a new regional highway. Another goal is to re-build and keep the ethnic peace as he calls those who “attempt to divide the people by their ethnicity or regionality” as the “enemies of the state”. 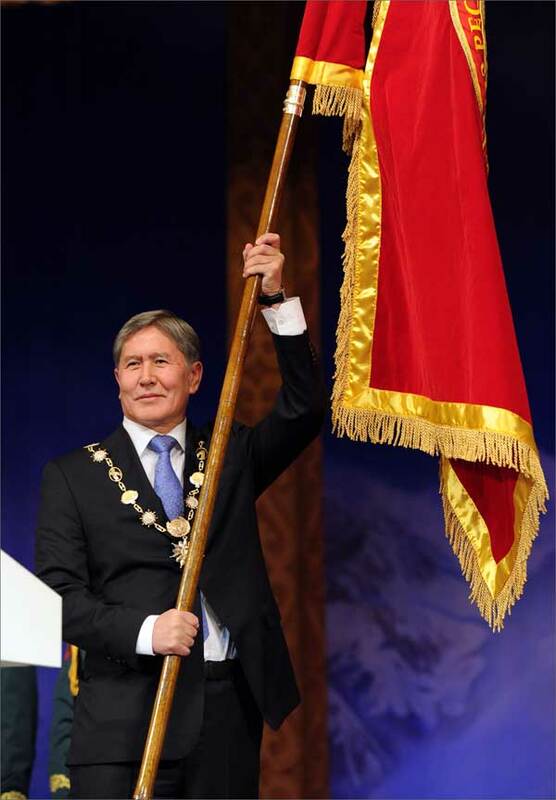 During the ceremony, Atambaev has been handed a sign of the president, made of a 108 cm long gold and silver chain. 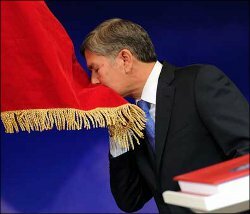 Besides, the new president has received a special flag, (Presidential standard) as the symbol of presidency. Almazbek Atambaev was born September 17, 1956 in the Chui province of Kyrgyzstan. 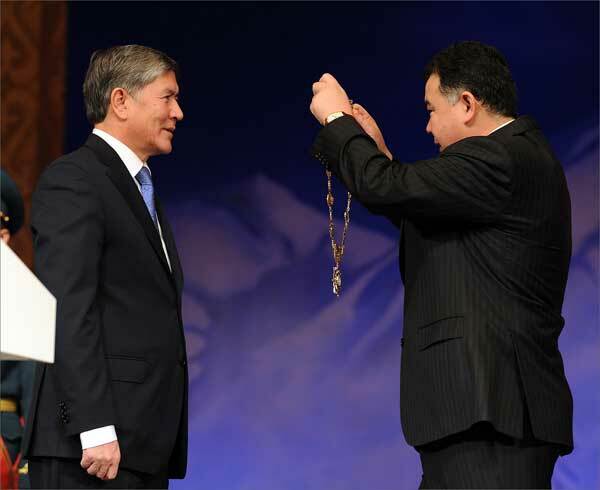 With a background in business and industry, he had founded and chaired the Social-democratic party of Kyrgyzstan. In 1995 and 2000 he was elected as a member of the national parliament. 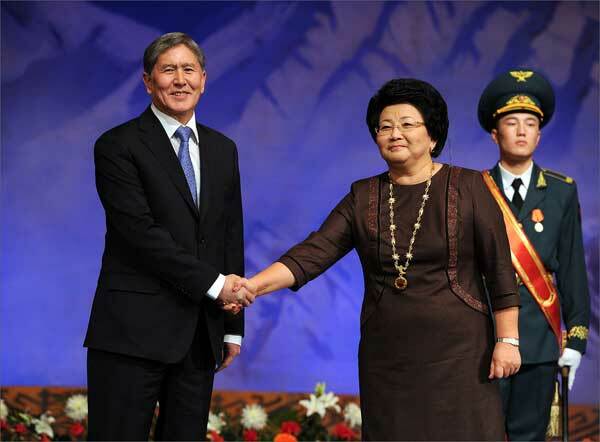 After April 2010, appointed as the first vice-prime-minister in the Interim government led by Roza Otunbayeva. Prior to his election as the president on October 30, 2011 he has been the country’s prime-minister since December 17, 2010.